Nicole began her career in the tax & financial industry in 1997 at a local tax & financial firm here in the Santa Clarita Valley. While there, she took some tax courses & obtained her 6 & 63, Investment Company Securities licenses. In 2000, she obtained her series 7, General Securities Representative license, California Life and Health agent license and her Enrolled Agent’s license to practice before the Internal Revenue Service. After joining forces with her husband, Robert in 2003, she obtained her series 65, Uniform Investment Adviser license and her Certified Funds Specialist (CFS) Designation in 2009. Comprehensive financial planning is Nicole’s specialty along with providing her clients with tax saving strategies emphasizing in small Business planning and wealth management strategies. 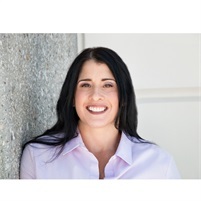 She also co-hosts HD Vest Chapter Meetings in the Northern Los Angeles area where they provide educational services for other local financial planners. In her free time, Nicole enjoys running and spending time with her family. Robert & Nicole’s family consists of 1 dog & 1 cat. I am sure you have seen their many photos around the office. Nicole is an accomplished athlete having run 6 full marathons, many half-marathons, 10k’s, 5k’s, relays and mud runs.